I’m having a gloriously bad week. It’s like the universe chased me to the last known corners of the world and collectively took a dump on me. But because I don’t want to wallow (completely untrue) and also because I know I should do something useful to improve things (like pretending I’m not actually here), I’ve decided to wake up early and plot a grand escape (I’m terribly task-oriented like that). And these are the five best hideouts I’ve found. Sometimes, you have to roll up your sleeves and prep for battle, and other times, you just need to dream up a fortress and garrison it well. Because if you inhabit a beautiful fortress in an imaginary world, you become impenetrable in the real world, right? If griffins were alive (or X-men griffins, for that matter), they’d live here. 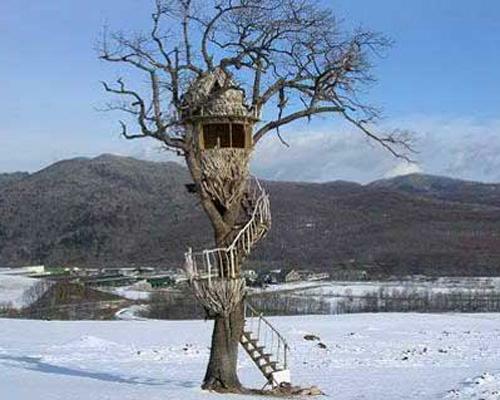 This bird’s nest treehouse realises all my childhood fantasies of running away from the world, building my own fortress and living amongst the birds. Interestingly enough, it was created by the Nestlé people for a Néscafe commercial and is now off-limited. Incidentally, it also has a lovely spiral stairway, in case you just don’t feel like flying today. All the white witches of the fantasy world must inhabit a space like this – pure, crystallised and charged with elemental magic. This blue-tinged glasshouse is the vision of architect and glass designer Carlo Santambrogio and sits in the middle of a wooden clearing. 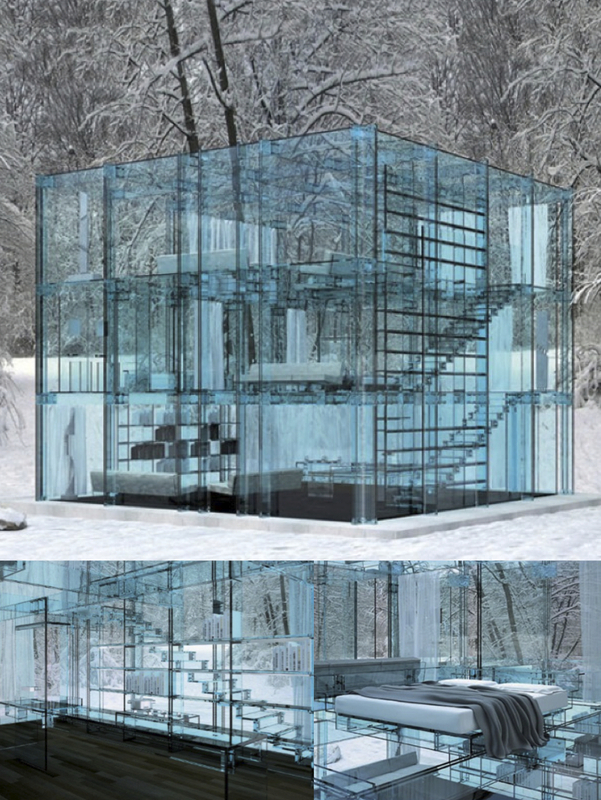 Everything, including the floor, stairs and furniture are made of glass. Acrophobes (those who fear heights) and scopophobes (those who abhor being stared at) are advised to stay away. 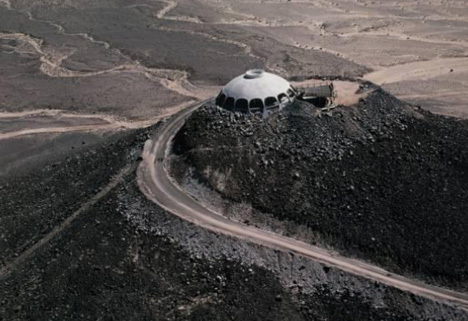 As this design blog astutely puts it, this 360-degree home on a dormant volcano looks like the lair of some super-villain – good to note if you have any world dominion or elaborate revenge fantasies. If you’re particularly morbid, turn your thoughts to how some apparently ‘dormant’ volcanoes have erupted again. The surrounding landscape is an apocalyptical wasteland and conducive to all matters of deep, dark melancholy. 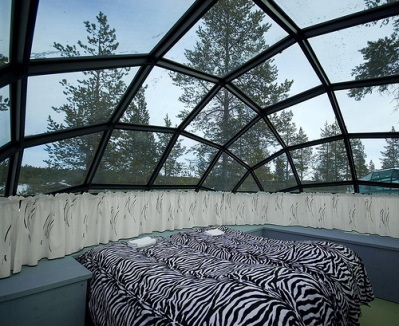 In case fantasising is not enough, and you really want to go somewhere, this igloo village is actually part of a hotel open from December/January to end-April. 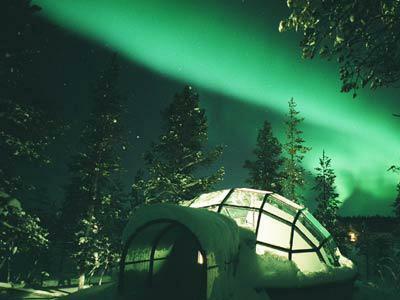 They’ve got traditional snow igloos and futuristic glass igloos, where you’ll enjoy first class seats to nature’s most spectacular dance – the northern lights. If you really need time out from the world, you may want an entire island to yourself. Interesting story: After Björk put Iceland on the world map, Iceland reciprocated by (literally) putting her on the map as well – they gave her an entire island. Elliðaey, off the southern coast of Iceland, now belongs to the eclectic singer-songwriter, and is only accessible via helicopter, boat or rope. According to a blog post by Maryam Shamlou, the house on it doesn’t belong to Björk though. It is a hunting lodge for puffin hunters. 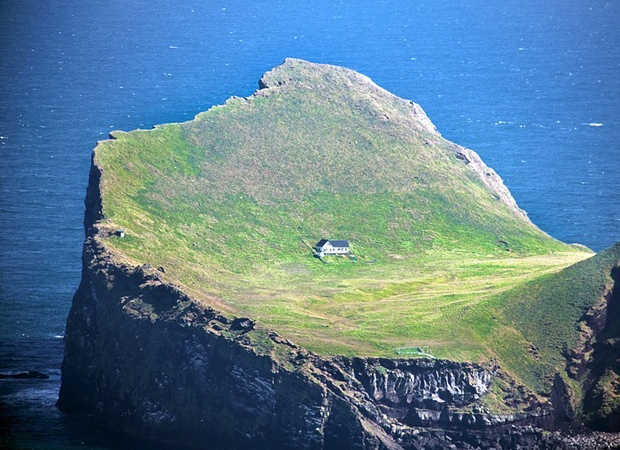 The question is: if you had an island to yourself, what would your fortress look like? My other grand escape plans include: Bucket List Spas and My Ashram Experiment. 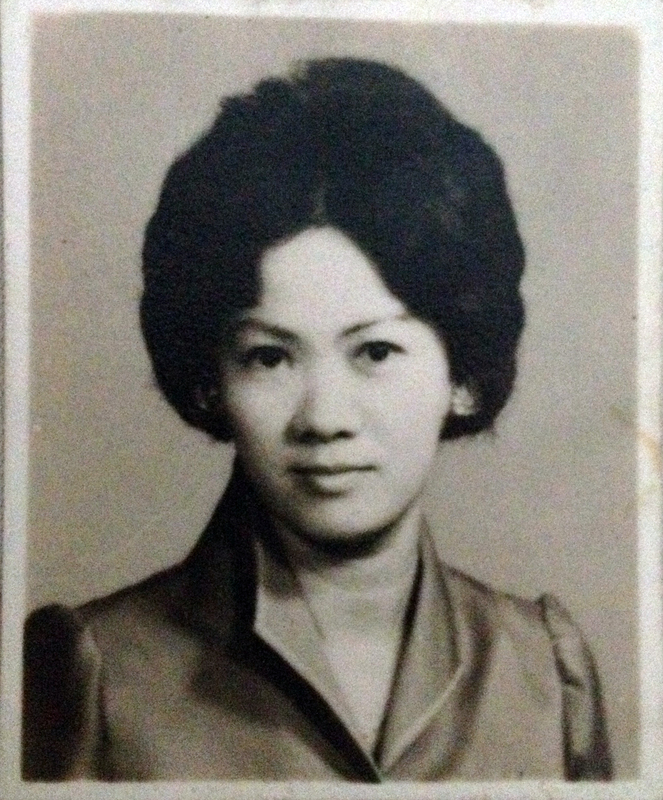 By the age of four, my mother taught me everything I know about being a woman. 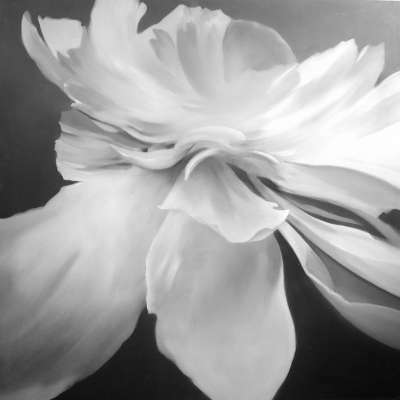 As a little girl, my first memory was of her in red lipstick, stepping into a garden abloom with yellow miniature roses, purple orchids and dainty West Indian jasmines – the perfect picture of grace. She passed away when I was four. Later, I learnt from my father that she’d been struggling with respiratory problems all her life. But nobody seems to remember how weak she’d become. Staring into her coffin, what I saw was a poised and beautiful woman. And throughout my confused teenage years, I struggled to emulate her beauty and grace. Thus I grew up in a confused and complex world, and like so many other, floundered through many moments of fear, self-doubt and heartache, seeking wisdom in books and forgetfulness in films. her parting advice to me was not merely how to be beautiful, but one of enduring strength and hope in the face of pain, uncertainly and death. 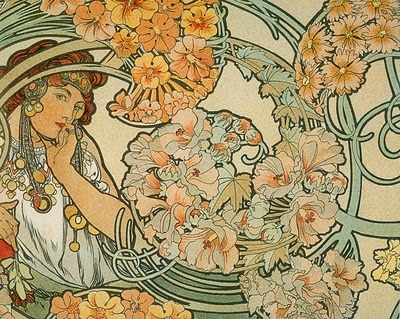 She was the first person who helped me understand that a woman without breasts is no less beautiful, bright purple hair on an old woman can still turn heads, making the effort to wear lipstick when you’re very ill is a final act of defiance, and planting flowers that you may never see is the greatest leap of faith. Beyond all the designer dresses and makeup, that is what it means to be a beautiful woman. Therapy. Possibly my favourite overused word. First used to describe the medical treatment of disease, today, you can literally tag the word to any of your favourite obsessive, compulsive indulgence and elevate it to a form of pseudo-psychological healing. Retail therapy, massage therapy, apartment therapy, chocolate therapy, you name it. The thing is, despite all the pseudo-science, I love the hedonistic and imaginative misuse of the word. 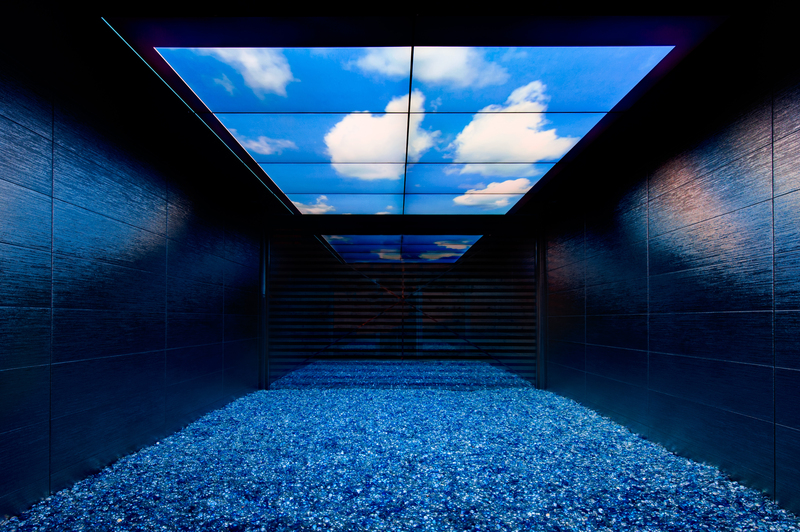 I also adore all the little spas that have taken our self-gratifying, self-justifying rhetoric to heart and created spectacular visual wonderlands. Why? Because I truly believe in the healing benefits of a little imagination. 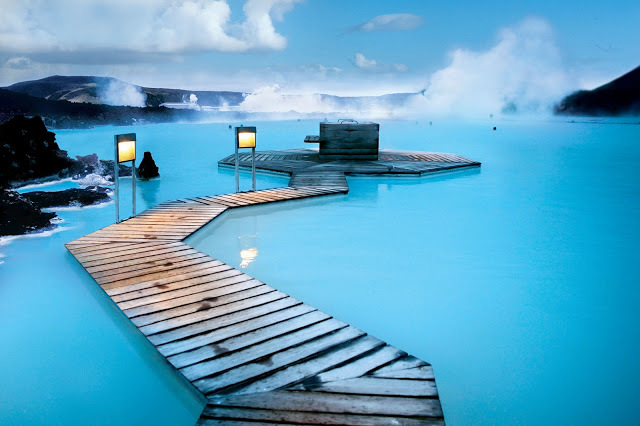 And on that note, here are my ‘bucket list’ therapies and spas – worth more than a visit to the doctor’s. Fast-forwarding through the anti-ageing, antioxidant spew of skincare brochures, what I really love about tea therapy is that this ritualised art instantly evokes a sense of clarity and tranquillity. Chanoyu 茶の湯 (in Japanese culture) and cha dao 茶道 (in Chinese culture) reflect the profound appreciation of nature, self-awareness and hosting etiquette. They also symbolise the act of leaving the mundane world behind and immersing in something truly pure and beautiful. This stunning spa is born of artist, musician and tea connoisseur’s JinR’s quest for the quintessential neoclassic Chinese experience. 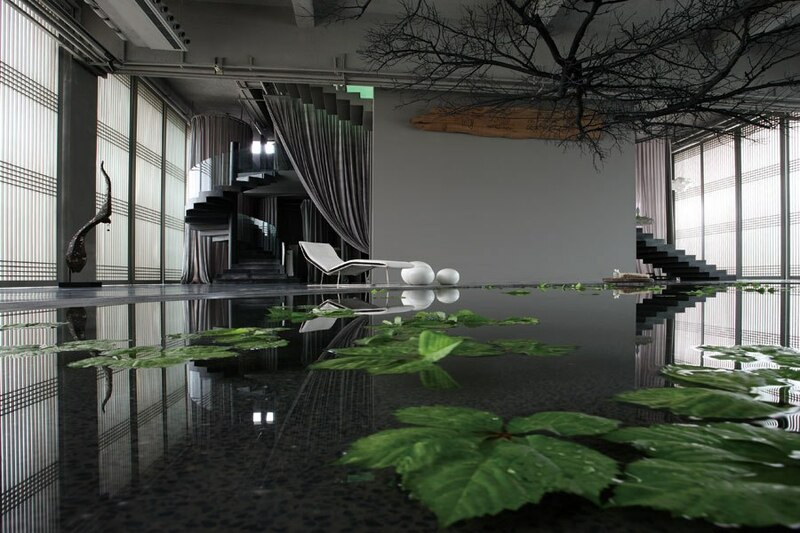 Sitting on the outskirts of Beijing, it is inspired by a Tang dynasty emperor’s bathhouse and voted by the Best Spa Design by Wallpaper magazine. Everything about it (even the website – http://green-t-house.com/greenteahouse1/bathhouse.html and its musical accompaniment) seems like something out of a Zhang Yimou film. 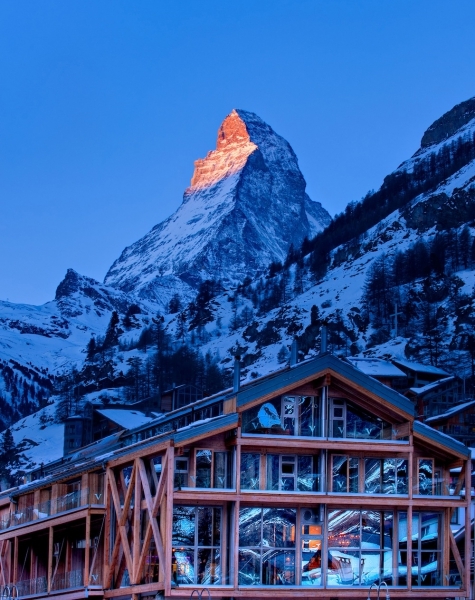 Soak in the rooftop onsen, luxuriate in purifying green tea treatments, sample artistically plated tea-inspired cuisine, and declare time out from the heave of humanity. Imagine the weightlessness and warmth of being submerged and suspended in lukewarm water. Proponents claim that this weightlessness relieves the body of the pull of gravity, gently massages, and stimulates the touch receptors of the skin. Adjustments to water temperature and pressure are used to improve blood circulation, encourage relaxation, enhance the immune system and hydrate the skin. Step aside, red wine. If you’ve heard enough of polyphenols and resveratrol, you’ll welcome this newer alcohol-skincare fad. This form of booze therapy is gaining popularity in Germany, Austria and Czech Republic, where the folks simply love their beer. 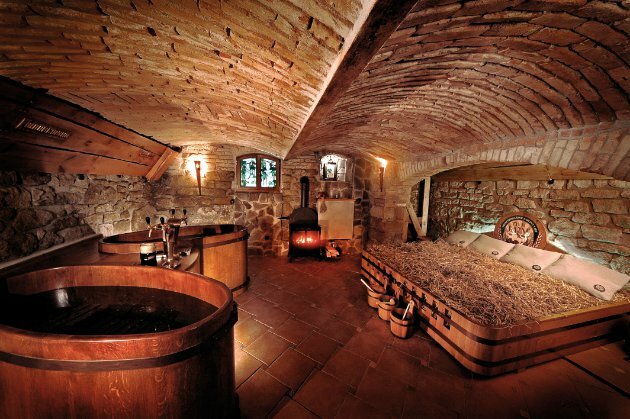 Soak in a barrel and instead of a nasty hangover, expect better circulation, detoxification and relaxation from beer’s natural healing cocktail of vitamins, proteins and folic acid. Combining colour, shape, light, sound, vibration and warmth to induce deep relaxation, this newfangled type of therapy feels like something out of a futuristic sci-fi world. 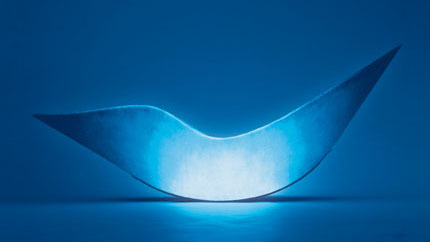 AlphaSphere, for example (the brainchild of artist Sha) is a monochromatic blue rocking relaxation couch offered at Berlin’s Mandala Hotel ONO Spa and Bulgaria’s Kempinski Hotel’s Zalez. *Most pictures were taken from the websites of the respective spas. 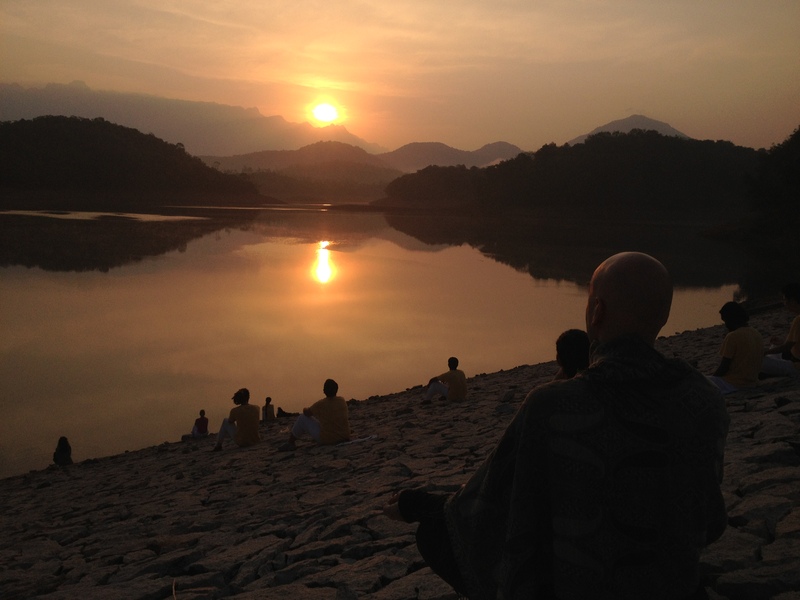 One: Two weeks in an Indian ashram was my ‘cheap shot’ at accelerated self-discovery. Two: I was your textbook epiphany-seeker (no thanks to Eat, Pray, Love, which I never read). Three: I now have firsthand experience of living out an old cliché, indulging a quarter-life crisis, trying a headstand with close to zero yoga experience, and dangerous chocolate-deprivation for two weeks. Well, I’m still not sure why I went. I guess, in a world measured out by Foursquare check-ins and cardboard cheeseburgers, the threat of unreliable wifi and a strict vegetarian diet might have just stricken me as refreshing at the time… Or it might have seemed like one of those trips that would give me granny-cred when I’m old and toothless. In any case, I packed three of my oldest T-shirts, an insect repellent, iPhone and concealer into a 10 litre Deuter backpack and left for Sivananda Kerala, India. And perhaps it just seemed like the place for it, but well, people just shared their stories more freely. The thing was, it wasn’t ‘solidarity of the miserable’ at all. On the contrary, what I realised was that everyone’s got some kind of half-formed plan too. I met a girl who wants to start a sustainable community in Costa Rica, a woman who lost a job she’s had for 19 years and suddenly decided to be life coach, and an ex-banker reinvented as a stopgap-hippie prepped to take on India. Through their eyes, I saw a vast world of infinite possibilities, only limited by my imagination and courage. And somehow, I started to believe that all we need is a half-formed plan, and then we’ll make the rest up along the way. I may be saying this because I didn’t have one spectacular ‘moment’… like in the movies. No lightning spark went off, no ‘highlights-of-my-life’ flashbacks occurred – sorry to disappoint. 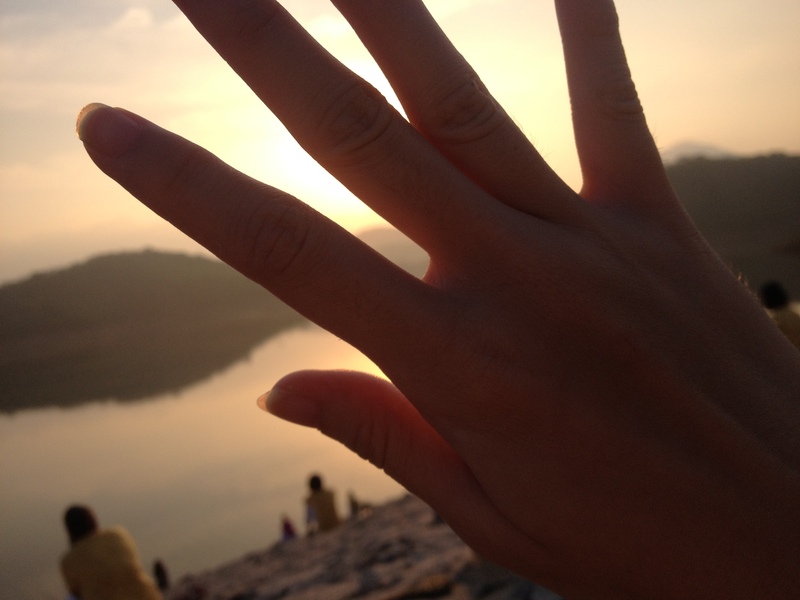 On my first day, our yoga teacher took us down to the river to mediate. Because every tree, every rock, every weed, he said, has vibrations and ‘memories’ that can heal the mind and soul, and so we’ve got a secret stash of positive vibrations right in our backyard. This may sound a little new-agey, but I did feel just a tad calmer for that, and it made the crucial difference. I’m starting to think that perhaps, sometimes, instead of waiting for life-changing epiphanies, all we need is to calm our mind and think quietly. No surprises – Monday is the day I hate most – it’s the day the world drags you out of your warm bed and across the street in your sleeping clothes, your hair bedraggled and your knees scrapping against the pavement, and makes you do a stupid tap dance. The ironic thing was, Monday morning chased me right up to the ashram in India. I had no forgotten deadlines, no early morning meetings, no embarrassingly stupid powerpoint slides, and yet I felt the same sense of anxiety, the sense that I was somehow late for something, had forgotten something, had missed my shot – don’t ask me at what. Maybe because, as they say, we can run halfway across the world, but we can’t run away from our own demons, fears and anxieties. And of course, the other ironic thing was that I had to run halfway across the world to truly appreciate that.